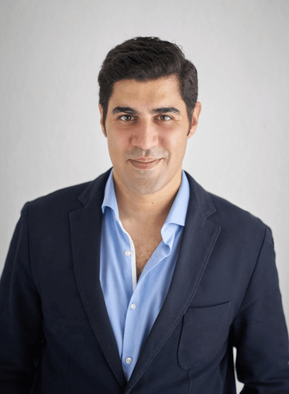 Khanna is the author of the new book “Connectography: Mapping the Future of Global Civilization,” in which he argues that the arc of global history is undeniably bending toward integration. Instead of the boundaries that separate sovereign nations, the lines that we should put on our maps are the high-speed railways, broadband cables and shipping routes that connect us, he says. And instead of focusing on nation-states, we should focus on the dozens of mega-cities that house most of the world’s people and economic growth. 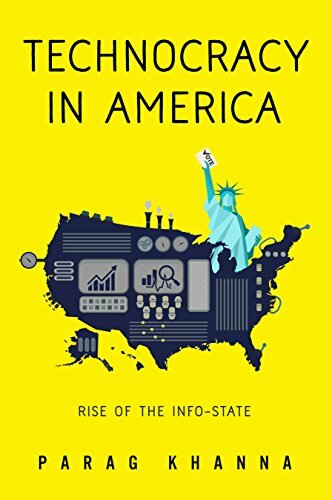 I spoke with Khanna about several of the incredible maps from his book, which he uses to illustrate some proposals for our future world that might, at first glance, seem pretty far out — like dividing the United States into seven economic mega-regions or politically integrating North America. But with the world rapidly changing and urbanizing, these proposals might be the best way to confront a radically different future. One of the most impressive maps in your book is the map of the world’s mega-cities. You say that by 2030, more than 70 percent of people will live in cities, and that these cities matter a lot more than the countries that they’re in. What does this map tell us? This is the most accurate map that’s ever been made of where people are and the economic value of what they do. Our team took the entire world’s population and plotted it by density, and they superimposed the largest urban archipelagos, the mega-cities, with those ovals to show the value of those cities vis-à-vis the national economy. The example of Johannesburg and Pretoria, the capital cluster of South Africa, is revealing. It represents something like 35 to 40 percent of the country’s gross domestic product, and South Africa is a very large country, with more than 50 million people. So much of the population is there, and the country’s connectivity depends on that city, because that’s where all the multinational corporations are headquartered. It’s the same logic in Lagos — there is practically no Nigeria without Lagos. It applies to Sao Paulo in Brazil, Jakarta in Indonesia, Moscow in Russia, Istanbul in Turkey, and every single dot and oval you see on the map. The good news for America is we have so many major cities that we have a distributed economy. Other countries are not so lucky. Russia is bigger than America, but it has one city that drives the whole country. We have the ability to do this. I hate to make the punch line something that’s so banal, which is “It’s all Congress's’ fault,” but it’s all Congress’s fault. All Congress has to do is to make sure that instead of district- and state-level pork barrel project spending, projects have some kind of cross-border dimensions, so that American citizens, whatever state they live in, can be better connected to the big cities. And if you do that, the laws of economics will take over, and people will more freely engage in commerce. If you look at the United States and Mexico, most of the world views Mexico as a very hot emerging market. That’s true of American companies: The American financial industry is buying into pipelines and power grids, and American automobile manufacturers are relocating. And they’re doing so not just because of cheap labor, but because Mexico has preferential trade agreements with other Latin American countries, which means if you manufacture there you can generate more sales in a fast-growing region. When an American car manufacturer relocates some production to Mexico, yes, some jobs are moved. However, the car manufacturer is able to stay solvent, because it saves costs and builds more cars, and built into the agreement is a requirement that North American suppliers are preferred for that automobile plant. The number of people employed in auto part supply making in the U.S. — high-tech air bag makers, anti-lock braking sensor developers, and reflective lights developers — is also in the hundreds of thousands, and those companies benefit. Those are the sort of new high-end manufacturing jobs that ultimately matter if you want American workers to move up the value chain within advanced manufacturing. They can be expensive suppliers to the lower-wage car manufacturers in Mexico. Our inability to do that is our fault. You hear Bernie Sanders and Donald Trump scapegoating globalization — it’s the dumbest thing I’ve ever heard. America has been the creator and driver of globalization over the last 25 years. Yes, it is now a more level playing field, and we are not always the winners, but that is the fault of politics and bad policy. In 2004, a pillar of John Edwards's presidential campaign was worker retraining programs for new industries. Twelve years later, where is that program? Just because we didn’t create it, doesn’t mean it doesn’t exist. The Germans did it, the Swiss did it, the Koreans do it. Other countries don’t blame globalization, they manage it, they take advantage of it. I think we failed to do that, and that’s what explains Trump and Sanders. Speaking of these connections between the U.S. and Mexico, one of your maps shows how North America is increasingly integrated. I know you mention in your book that the U.S.-Mexico border is the most frequently traversed border in the world, and the U.S.-Canada border is also extremely busy. Why is North America so integrated? One of the titles I’ve given the map is ‘Think geology, not nationality.’ America is now suddenly the largest oil producer in the world. The American energy revolution is the most significant geopolitical event since the end of the Cold War, and it’s a major shift in the world’s tug of war. Ten years ago, we were all talking about how the United States and China were going to fight resource wars for Middle Eastern oil and minerals in Africa. Now, thanks to this incredible seismic revolution, we’re selling oil to China instead. The reason this relates to North America is because, if you think about strategy in the geological terms, you realize that if the U.S., Canada and Mexico unite their energy, water, agriculture and labor resources, you create a continental empire that is more powerful than America is. I’ve not even mentioned the Arctic, which of course Canada controls half of, which is becoming a very strategic geography as the Arctic ice melts. Canada is going to potentially be the world’s largest food producer in 20-25 years as a result of climate change. And then there’s water. The southwestern United States is now in a perennial drought, and yet at the same time, perversely, is the site of the fastest growing population in the United States. So hydrological engineering may need to take place between Canada and the United States. The way you build this continental superpower is connecting North America together. The more pathways and routes you have for supply to meet demand, the more resilient your system. So that’s why that map should be taken extraordinarily seriously. It is not just a pretty picture, it is literally what American grand strategy should be in the 21st century. You mentioned the issue of climate change and food production. One of the most fascinating maps in the book shows how global considerations might change if the world becomes four degrees Celsius warmer. Much of the United States becomes uninhabitable desert, while cities and food-growing zones shift to Canada. This is a map by the New Scientist, a very respected British journal. They made this forecast of where global food production would be relocated to if the world rises four degrees Celsius above the 1990 baseline, which of course the Intergovernmental Panel on Climate Change uses. Where today the world’s largest food producers are the United States, Brazil, China, India, Australia and so forth, it could be that 30 years from now or less, the world’s largest food producers are Canada and Russia. This is ironic for a host of brutal reasons. First, these are two of the most sparsely populated countries in the world. Do you know what the world population is north of 66 degrees latitude, near the Arctic Circle? It’s less than the population of Manhattan. For this book, I went up to the northernmost tippy-top of Norway to look at the Arctic supply chain. Not only are temperatures rising there, but populations are growing, new towns are developing, ports and shipping industries are thriving, in these super cold places. And I met these old people who actually remember when things were a lot colder, because it’s not as cold as it used to be, though for me it was still damn cold. The year 2050 or 2100 seems like light-years away. But if we agree that climate change is not getting reversed or slowed down by our current efforts, you have to take seriously the idea that the world’s existing political boundaries and restricting the movement of people don’t make a lot of sense. Canada isn’t going to be just for the Canadians, and what we today call Russia isn’t just going to be for the rapidly diminishing Russian population. You also have a map that looks at “The New Arctic Geography.” This isn’t a view of the world that a lot of people are used to looking at, but something they will need to get more used to over the next decades. What is the importance of this region and these shipping lanes? They play a very significant role in geopolitics. The world has four significant maritime choke points, three of which are geopolitically sensitive — the Suez Canal, the Strait of Hormuz and the Strait of Malacca. We have feared for 100 years that there could be an act of terrorism or war that would block one of these choke points and disrupt global trade and energy flows. But Arctic shipping is a faster and better system. Tragic as climate change is, it opens up these new passageways to Europe, to North America, into the Hudson Bay. So the way into the heart of North America may eventually be these Arctic shipping routes. Let me ask you about your map of Eurasia’s “new Silk Roads,” which shows some of the projects being built by the Chinese-led Asian Infrastructure Investment Bank. You also describe competitive connectivity as the next arms race. Compared with the United States, is China really winning the battle for connectivity? There is no final winner in this competitive connectivity, and it’s not zero sum. We’re all benefiting in some way from this build-out of infrastructure that has been neglected for decades. This map of the new Silk Roads shows the railways, pipelines and so forth that are going to be built by the Asian Infrastructure Investment Bank and other organizations across much of Eurasia. Right now, Europe’s trade with China is almost the same as Europe’s trade with America. Just imagine how big that economic bloc will be when all of those trade corridors are complete and you have seamless transportation between Europe and Asia. America definitely took the wrong approach, which was to try to block the creation of the Asian Infrastructure Investment Bank. Meanwhile our closest allies — Britain, Germany, European countries — signed on as the bank’s charter members. The Obama administration basically pretended like this was a zero-sum tug of war over allies, but they didn’t realize that America’s military alliance system is not the only way of understanding global public goods. We think of security as the most paramount global public good, and America is the leading provider of that good. But what China has shown is that infrastructure is an equally important public good. Hundreds of countries desperately need and want infrastructure, and China is the world’s leading provider of that. In the book, I have so many examples of why we should let China go ahead and build all of these things, but we should be competing for the lucrative value-added deals. We don’t have millions of American construction workers to export to Africa. But when those countries finally start to use their connectivity to build factories that are making useful things, we should be the ones financing the deals and selling the technologies. China builds up the world, and we get to benefit from the growth of those markets.